Whether it’s a spontaneous weekend away or a well-planned break, it’s normal to gravitate towards the best city spots; and while the buzzing nightlife never disappoints, perhaps try your luck with something a little different next trip away. 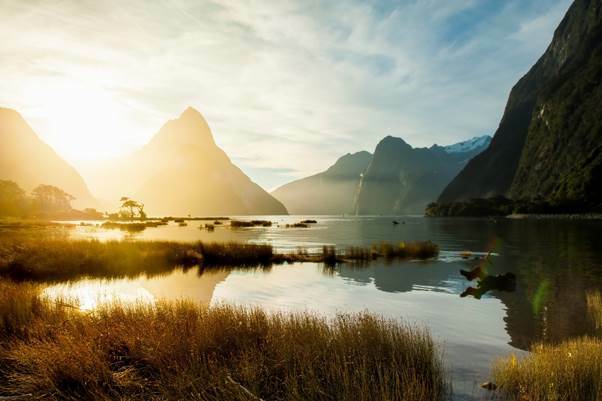 New Zealand offers some of the world’s best natural wonders, from Milford Sound which is considered to be the ‘eighth’ wonder of the world to the Waitomo Caves, where a rare breed of glowworm illuminates underground. These six road trip destinations, sourced by global travel search engine, Skyscanner, will make you want to gather your best mates or grab the kids and hit road. In this instance, it will be the destination not the journey that will be the best part. Lake Taupo: Situated in the North Island of New Zealand, this lake lies in the caldera of the Taupo Volcano and is the largest lake by surface area in New Zealand. The region is centrally located in the middle of the North Island, so it will take you approximately 3h 30 min to drive from Auckland and 4hr 30min drive from Wellington.Make sure to visit the cliffs of Mine Bay, there are Māori rock carvings created in the late 1970s to pay tribute to Ngatoroirangi, a navigator who guided the Tuwharetoa and Te Arawa tribes to the Taupo area over a thousand years ago. The 10-metre-high carving is intended to protect Lake Taupo from volcanic activities underneath and can only be accessed via boat. Lake Taupo is also an amazing location for adventure, thrills and living on the edge. So if you’re after the ultimate adrenaline rush – skydiving, cliffhanging, white water rafting and bungee jumping are all on offer, ready to get the heart racing. If you need to hire a car there are a lot of competitive deals available at the moment. You can collect your chosen vehicle at any major airport or city in New Zealand but for a small compact car, you’ll probably pay around $40 from Auckland airport for a 3-day hire. 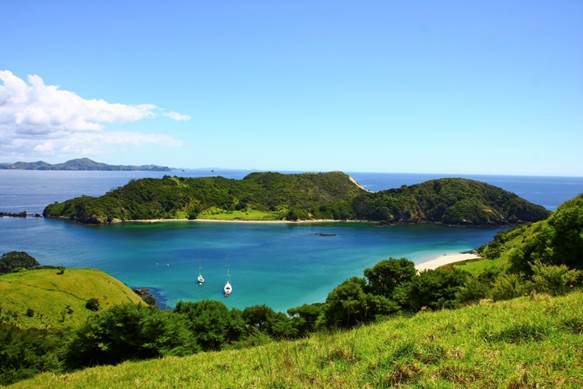 The Bay of Islands: The Bay of Islands is a stunning subtropical reserve known for its beauty and rich history and is a region that encompasses more than 144 islands by the country’s North Island. Renowned for spectacular sunsets and boasting one of the best left hand surf breaks in the world, Ninety-Mile beach is an almost never-ending paradise – so make sure to take your surf board with you. You can also body board down the famous sand dunes or go 4x wheel driving along the beach for an impressive adventure. Join a daily cruise, charter a yacht or hire a sea kayak to visually immerse yourself in a maritime adventure playground. The Bay of Islands is about three hour drive north of Auckland and roughly, nine hours from Wellington. So if you are coming from Wellington, take advantage of the amazing places you pass on along the way, including Lake Taupo, Rotorua and Hamilton – get those music playlists ready. Skyscanner recommends going big and hiring a camper van for this island adventure. Just like a sedan, you can collect the camper van of your choice at any major airport or city in New Zealand. For five days, the cheapest you’ll probably pay will be around $120. Rotorua Thermal Hot Pools: Rotorua is famous for its geysers, bubbling mud pools, the hot thermals and of course, ‘that’ unusual smell. Very few locations on earth produce this kind of natural scent which is created by the sulphur that bubbles from the thermal hot pools spread throughout the area. 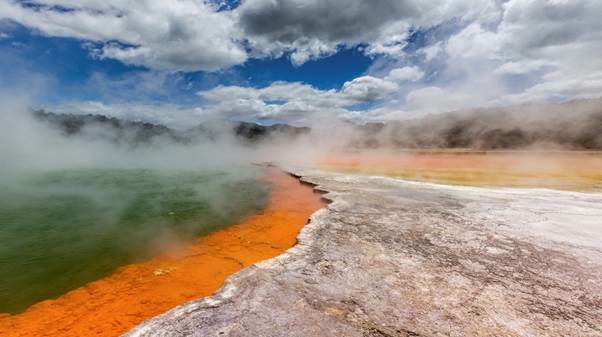 Don’t worry, the smell isn’t toxic and once you spend a few hours in Rotorua, the aroma fades so make sure to visit Kuirau Park, where you can soak your feet in the hot bubbling mud pools and then watch the spurting hot eruptions at the natural thermal reserve Te Pui. Te Pui is home to more than 500 springs so be sure to visit one of the famous, Pohutu, which can erupt up to 20 times a day, spurting hot water up to 30m skyward. 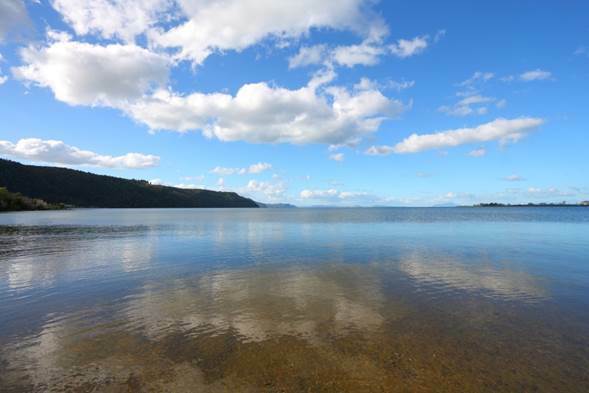 Rotorua and its natural surroundings will make you feel like you’re not even on earth so if you are after an out of this world experience, the drive from Auckland will take approximately three hours and about six hours from Wellington. The cost for a car hire for a weekend journey to Rotorua will probably cost around $65 per day, pick up from Auckland city. 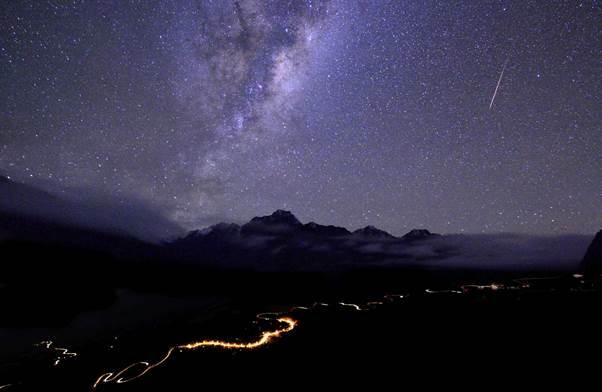 Mount Cook National Park:Located on the South Island, Mount Cook National Park is the world’s largest international Dark Sky Reserve and is a truly breathtaking location. If you’re coming from the South Island, Mount Cook National Park is only a three hour drive from Queenstown and a four hour drive from Christchurch. But if you are making your way down from the north, the drive will be approximately 12 hours from Wellington and 20 hours from Auckland. If this is the case, make sure to think ahead and select your stop off destinations along the way. Skyscanner recommends taking a break from your journey at Kaitaia, famous for fresh crayfish and Hanmer Springs, which offers travelers a natural thermal resort. Once you get to Mount Cook National Park, witness the clear starry night and of a day explore the turquoise lakes. With a car you’ll be able make the journey around the national park, giving you an abundance of nature hikes to choose from. Tour star gazing and scenic flights are also on offer but remember, pack very warm because this area of New Zealand is already experiencing snow fall. Like the Bay of Islands, Skyscanner recommends organising a camper van for this trip so you can sleep under the stars. If you’re taking the family, invest in something that sleeps four to five which will feel like you have your very own hotel on wheels. Hiring this kind of camper van will cost from $400. The closest airport to Mount Cook National Park is Christchurch International Airport. Milford SoundOkay, so it’s probably the most famous natural destination in New Zealand but for a very good reason. Once described by Rudyard Kipling as the ‘eighth wonder of the world’, Milford Sound is a spectacular fiord in New Zealand’s south island. Milford Sound was carved by glaciers during the ice ages and offers travelers’ magnificent cliffs, dark waters, mountain peaks and high waterfalls. It often rains in Milford Sound and when it does, the waterfalls flow. Even further down the south island than Mount Cook National Park, Milford Sound will take you just about a 9.5-hour scenic drive from Christchurch. The closest major town from Milford Sound is Queenstown (one hour drive), so if you’re making your way down, stop off in Queenstown for a quick bungee jump before continuing on. Once you arrive, take a break from driving and hop on one of the popular boat cruises – floating along the water is the best way to experience the fiord and boat cruises run day or night. If you’re more of an adventurous type, you can sign up for sea kayaking, diving or flightseeing. Milford Sound is tucked away so no matter where in New Zealand you’re coming from, it’s going to be a relatively long journey. Organise to hire a camper van for your travels, something that spacious and comfortably sleeps your crew. The cost of hiring these types of larger camper vans will be start from around $400 for the week. Waitomo CavesA must-see in New Zealand, Waitomo Caves is situated beneath the green hills of Waitomo. 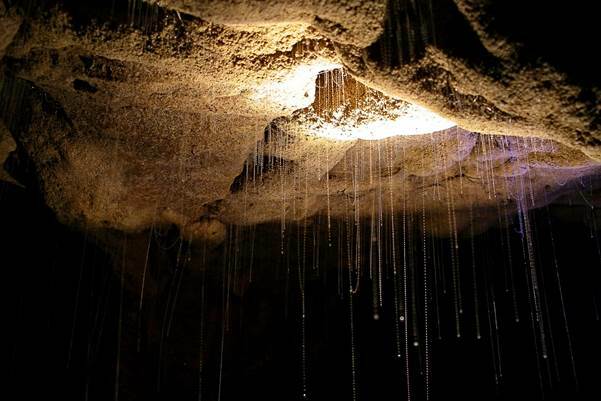 A breathtaking natural landscape, make the journey underground to view the sinkholes and rivers where natural glow worms light up the Waitomo Caves. Perfect road trip for the kids, the drive time from Auckland will be about three hours south and for those of you travelling from Wellington, it will be approximately six hours north-west. What’s so interesting about this destination is that this particular type of glow worm can only be found in New Zealand, with thousands of these tiny creatures forming a beautiful luminescent light. You can experience these caves by boat tours, blackwater rafting, abseiling and even zip-lining. If you need to hire a car, you can probably get one from around $85 for a standard sedan per day. The closest airport to Waitomo Caves is Auckland Airport. Franz Josef GlacierA World Heritage Area, Franz Josef Glacier is a magnificent river of ice located approximately one hour drive west of Christchurch. The Glacier is currently 12 km long and finishes 19 km from the Tasman Sea. Weather like rain and snowfall impacts the cyclic pattern of advance and retreat and the size has changed several times over the past century. It’s only a five-hour drive from Christchurch to Franz Josef Glacier in you live on the South Island; but if you are travelling from Wellington, it will take you around 10.5 hours and 18 hours from Auckland. Again, make sure to take a break from your journey at Kaitaia, famous for fresh crayfish and Hanmer Springs, which offers travelers a natural thermal resort. 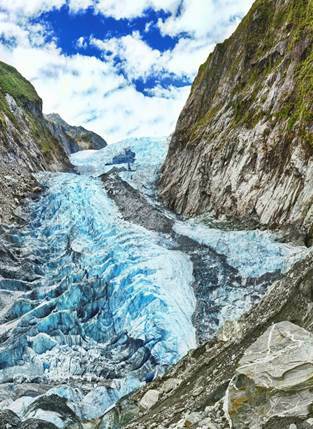 This natural beauty is a popular spot for the adventurous, with tours on offer if you’re keen to get up and close with the glacier. Take a guided ice walk, heli-hike or aerial sightseeing in order to witness the stretch of rainforests, waterfalls, and lakes that surround the area. Liked Milford Sound, this hidden gem is also tucked away so make sure to organise a camper van that comfortably sleeps everyone, not to mention a little kitchen and eating area. Hiring these types of larger camper vans will possibly start from $400 for the week. 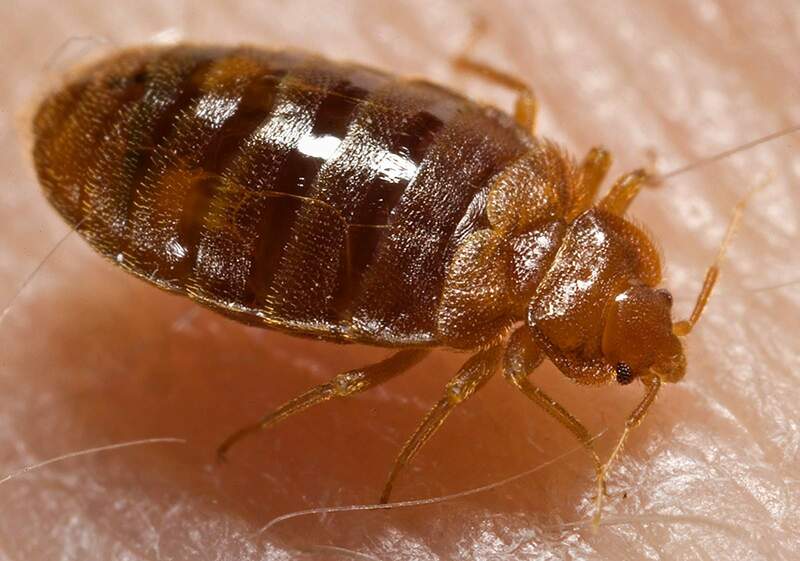 Don’t get the travel bed bug!